The Renaissance Computing Institute is pleased to host a Planning Grant Workshop for UNC-Chapel Hill (UNC-CH) to join the Center for Visual and Decision Informatics (CVDI). CVDI is a National Science Foundation (NSF) Industry/University Cooperative Research Center driving continuous innovation through knowledge share among partners, leading to invention and commercialization of decision support technologies. UNC-CH has proposed to NSF to join CVDI as a new research site that will incorporate and augment UNC-CH faculty research expertise in data sciences, “big data,” and visual analytics for decision making. 4) to gain insight from NSF on the research scope, proposed projects, and interest level of industry. Short presentations will cover I/UCRC mechanics and benefits to industry, with research proposals focused on UNC-CH faculty’s latest research into data and visual informatics for decision making. Breakout sessions will target industry benefits and research relevance, quality, scientific merit and innovation of research, and modification of proposed research to better meet industry research needs. The workshop will provide many opportunities for informal interactions between industry and UNC-CH faculty and students, including a research poster session. Local participants or those flying in early are invited to a cocktail reception. 10:45 a.m. – 11:15 p.m. The workshop will take place at the Renaissance Computing Institute, located on the fifth floor of the Europa Center, in the Biltmore conference room and atrium, Suite 590. 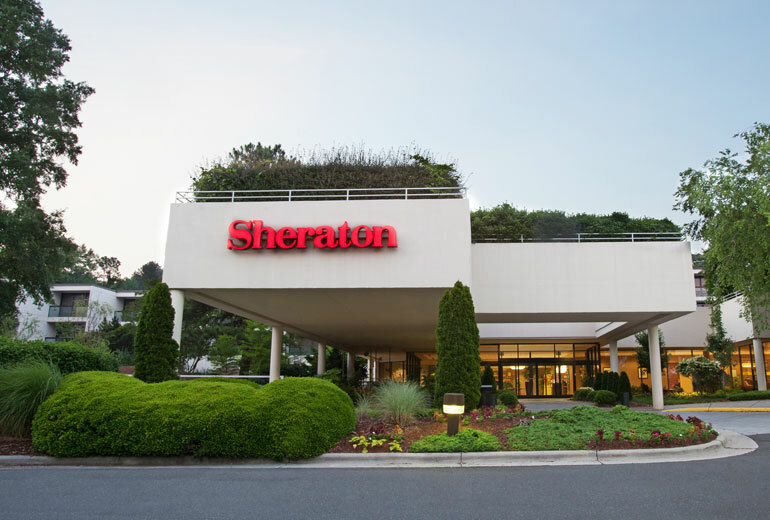 The Sheraton is within easy walking distance of RENCI and only a 10-12 minute drive from RDU airport. Tuesday and Wednesday evening receptions will be held here. There is a group rate of $119 per night. Reserve before November 9, 2015 to lock in this rate. You should have received an email invitation to this event. If you did not or can no longer find it, please email Jennifer Resnick for an invite. Click HERE to access evaluations. The password will be provided by your presenter. © Industry/University Collaborative Research Center. All rights reserved.